When you purchase a company fleet, the team at Maughan Thiem Kia knows the importance of choosing the right vehicles to suit the needs of your business. You can count on our range of New Kia models for their world-class engineering, award-winning quality and distinctive design. When assisting you with your Kia fleet selection, we take into consideration factors such as long-term running costs, the in-car technology you require and the safety of your employees. We are also more than happy to discuss the cost of ownership for the life of your Kia fleet. 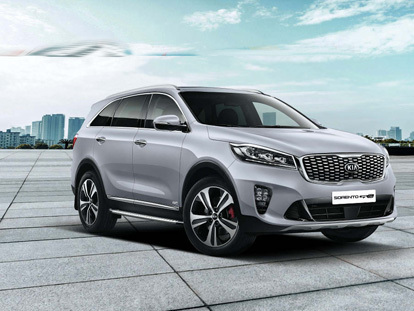 At Maughan Thiem Kia, we are proud to offer generous discounts on fleet purchases for any Kia registered business holding an ABN number that is older than 60 days, and businesses owning more than 24 vehicles. When you choose a Kia fleet solution, you also have access to Kia’s pioneering 7-Year Warranty*. So, whether you’re a small business, a national enterprise or a government department, our team will work hard to find the best Kia fleet solution for you. Want more information about how our team can tailor a personalised Kia fleet for your business? Don’t hesitate to Contact our expert team today.